It’s APRIL, which means festival season is HERE and so all are your favorite bands. 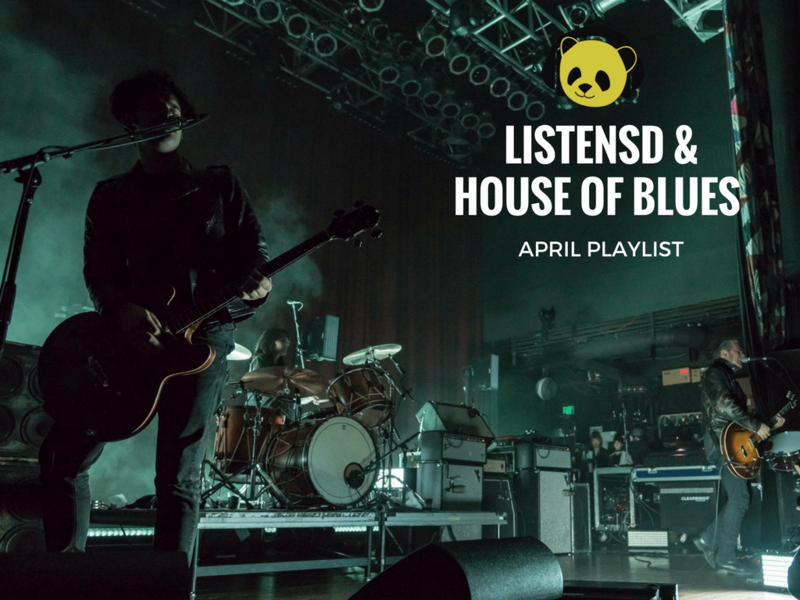  We put together a brand new playlist of our favorite acts coming to House of Blues San Diego. Trust me you’re going to want to listen. We can’t wait to see the acts coming through this month. We’re especially stoked to see Ty Dolla $ign (4/5), Chrome Sparks (4/6), Dashboard Confessionals (4/18), The Expendables (4/20), Coast Modern (4/24), and Sum 41 (4/28). Whatever musical selection you are craving, House of Blues has it, and not to mention an amazing restaurant to grab some grub before the show. Take a listen to our playlist here and be sure to follow us on Instagram & Facebook for ticket giveaways!